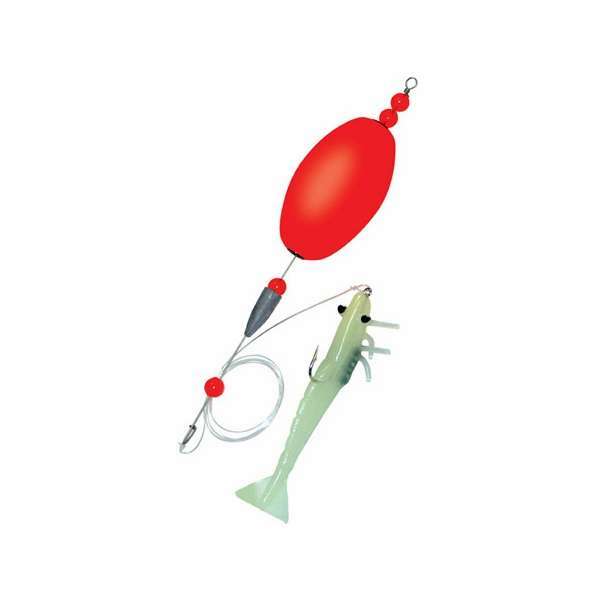 The DOA Deadly Combo is a pre-rigged jigging device; tie the end of your line to the swivel that comes in the package. 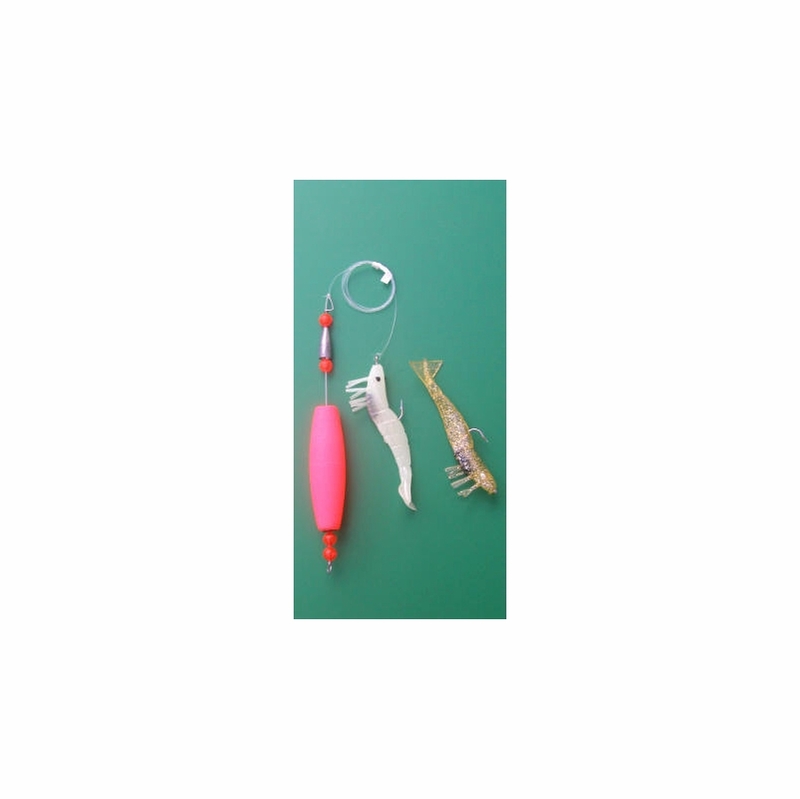 The DOA Deadly Combo comes ready to fish; just open the package and tie the end of your line to the swivel that comes in the package. 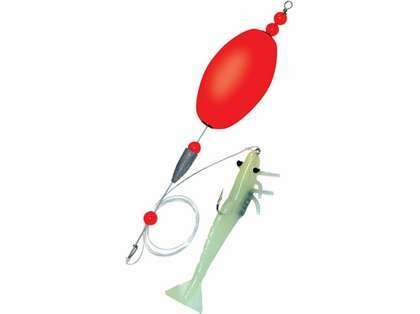 Then cast out the float with the lure attached and let the current take it as far away from the boat as you like. Close the bale on your reel to stop the line from going out. The float will move with the current or the wind and every once in a while you should give it a twitch so the float makes a clicking noise. Let it rest for a minute and click it again. The package comes with a standard 3" DOA Shrimp tied on and ready to use. This method of fishing has been used as long as men and women have been fishing and it is the easiest way to catch fish. 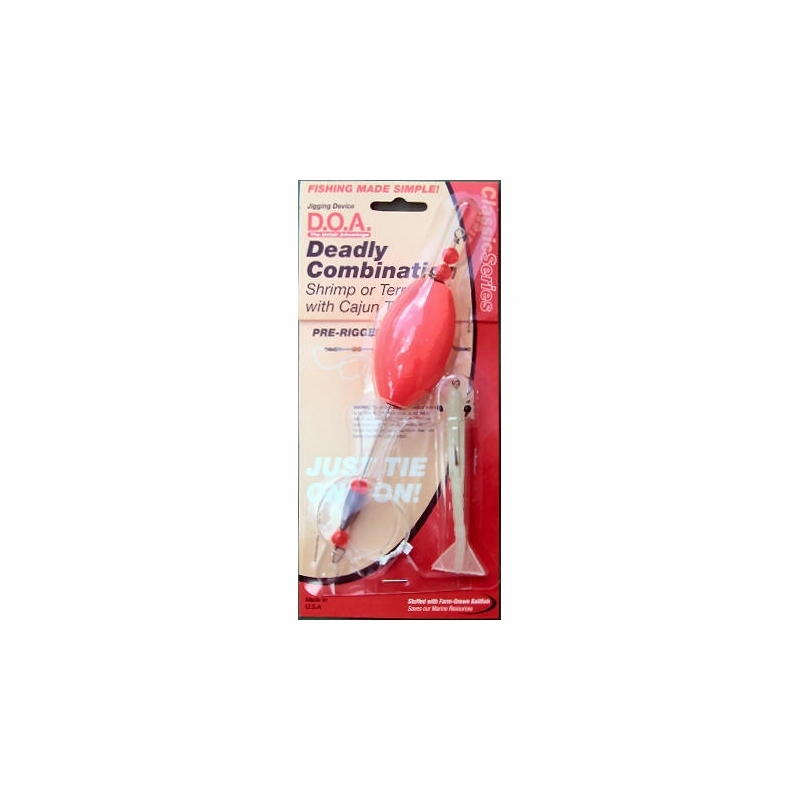 These deadly combos are great for trout and red fish here in Louisiana. Item was well packaged and is as described on the website. Product is easy to use and catches fish. I used this shrimp at pensacola florida. I was expecting sheepshead. .
but not even a tap. Whilr the guy beaide of me catches 5-6 keeper..
Use this a ton and works great. Really gets you a lot of catches. Great for snook, reds, and trout near mangroves and around the flats. Good price and worth the money.